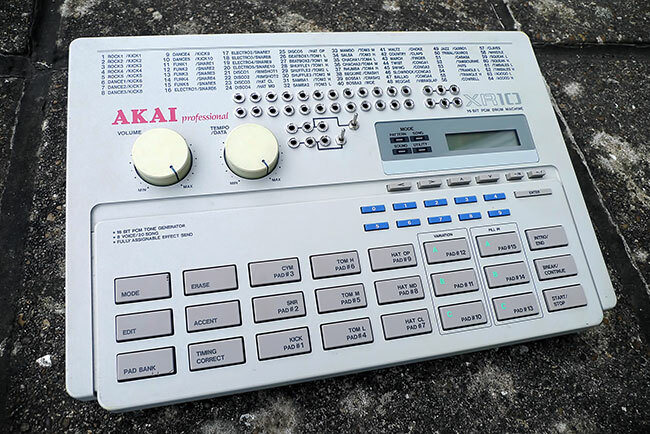 The AKAI XR-10 is a suspiciously rare machine, which is odd seeing as it has a set of drum samples that are both interesting and useful. 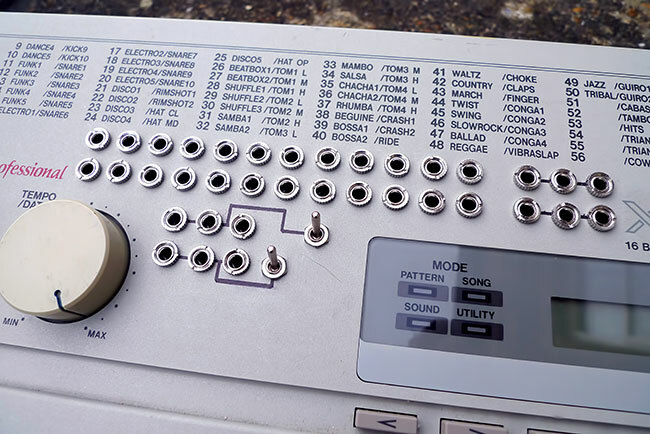 As anyone who has used a lot of drum machines from this era will know, both these features are a bit of a rarity although this may go some way to explaining why they are not often seen for sale. Its also one of those strange machines where samples of its sounds never sound as good as the real thing, even if you sample them using an AKAI sampler, bizarre. The XR10 was produced in the same era as its rackmount cousin the XE8, but other that a vaguely similar appearance, the two machines have very little in common other than the same punchy sound to the drum samples and a certain in explicable strangeness about the operating system. The XR10 has nothing whatsoever in common with the much more modern and boring Akai XR20. 24 way patchbay: More information and details of our drum machine patchbays can be found HERE. The XR10 is especially keen on savage distortions, strobe gating and nasty aliased pitch shifting which take the sounds to a whole new level of unexpected sickness. Unlike a lot of circuitbent drum machines the XR-10 doesn't just grind up the sounds but is also rather keen on resequencing the patterns with different arrangements and voices. The patchbay also includes 2 X Patchable switches that can also be used as 3 way patching multiples and 2 X 3 way dedicated Patching multiples for further percussion grinding possibilities.